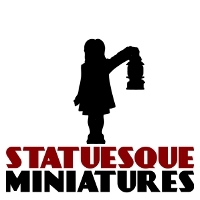 Here's one I've just finished for my personal range Statuesque Miniatures. It'll be a wee while before she's available but I'm impatient and wanted to share her because I'm rather chuffed with how she turned out! She's something of a remake of Lila. She was my 10th sculpt while this is my 35th so it's nice for me to see the progression. 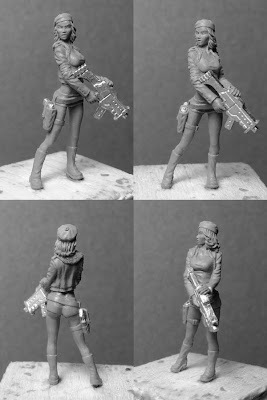 She's 33mm tall, 31mm to the eyes. 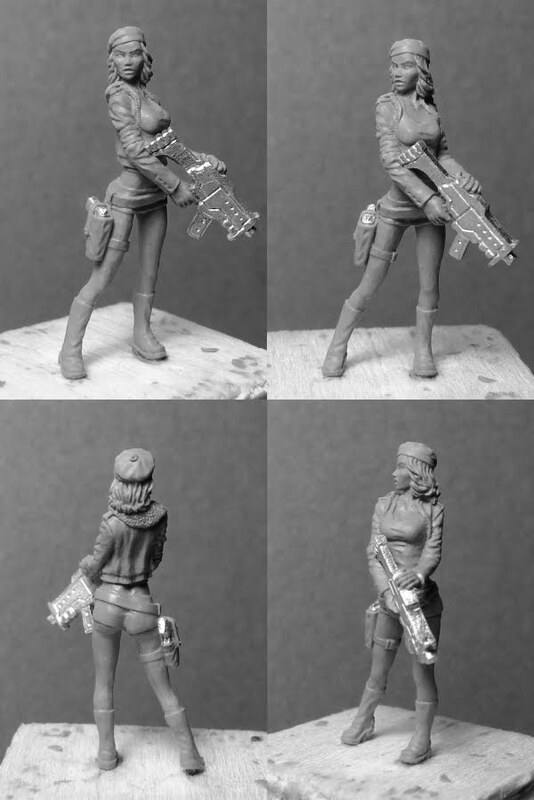 The guns are courtesty of Hasslefree Miniatures.